This is a “panda shaoxiang” version. Shaoxiang, aka “烧香” in Chinese, means go to the temple for burning incense and offering up a sacrifice. 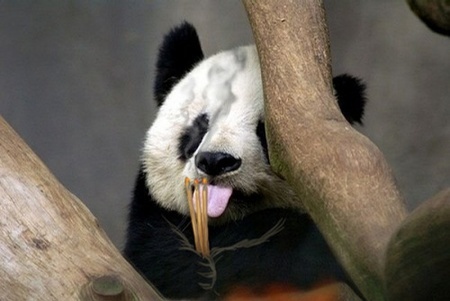 The Shaoxiang Panda is a very famous computer virus (worm like) in China during 2007. Once you get infected, all the icons of your files will be a picture like this one. Via IfGoGo (originally found on Douban).